Every year Moana House runs their famous Christmas Tree Fundraiser. 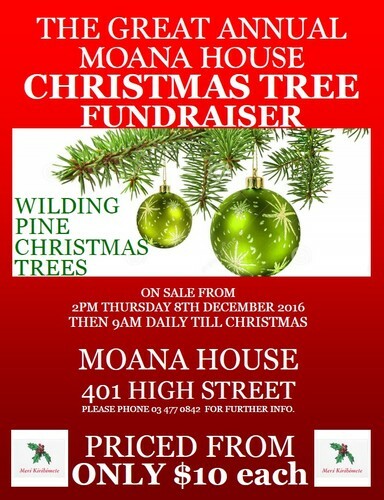 This is a hugely popular fundraiser and especially so as we supply affordable Christmas Trees to the Dunedin Community. Priced from $10 it is best to get in quick! Sales run daily, weather can impact availability so call first if unsure - 03 477 0842 or drive past - 401 High Street.